People looking for a bite to eat can find an array of food in Pittsburgh's Lawrenceville neighborhood. The authentic Italian restaurant Piccolo Forno that specializes in handmade pasta and wood-fired pizza, as well as a Japanese pub called Umami, and Ki Ramen, an establishment that has their own in-house Japanese noodle, offer tasty options. Dominic Branduzzi and Roger Li, both 35-years-old, own the respective restaurants and have a partnership along with 40-year-old head chef Claudia Moyano who cooked at Umami and Ki Ramen. 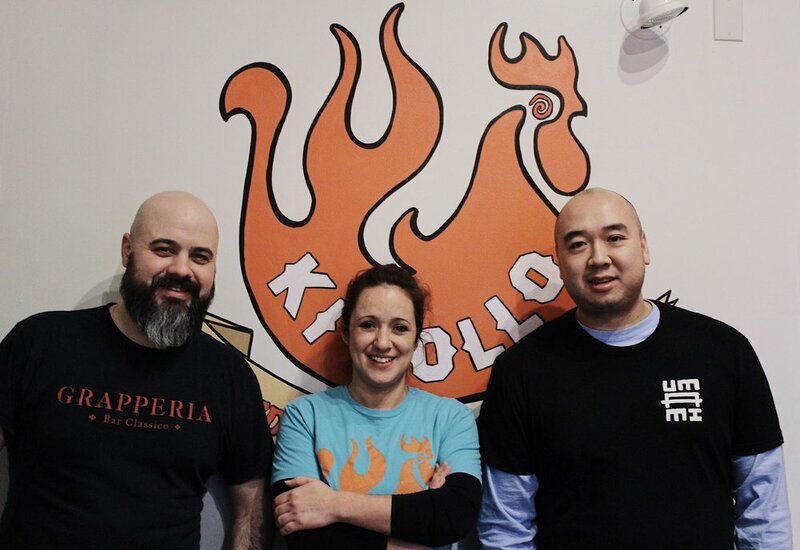 Now, the trio continue to mix ethnic influences into their food and into their newest eatery called Ki Pollo. Cultural backgrounds like Lucca, Italy origins for Branduzzi, Korean-American heritage for Li, and Mendoza, Argentina origins for Moyano, form an intriguing experience and tasty menu at their four-month-old street food restaurant that Branduzzi, Li, and Moyano own and operate together. Like its sister restaurant Ki Ramen, Ki Pollo sits in Lawrenceville bringing "new things to the table," according to Branduzzi. 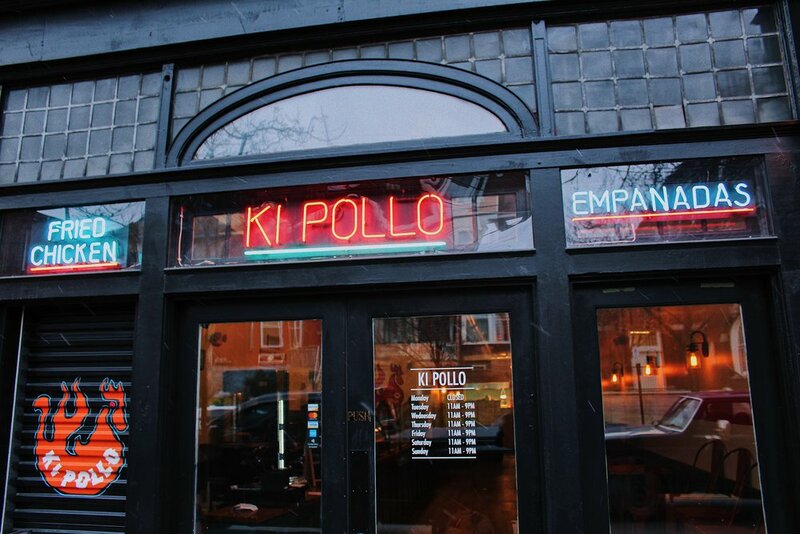 Mouths are drawn to the niche dishes Ki Pollo serves. Korean style fried chicken and empanadas create "different options" for customers to try Moyano said. The cuisines mesh well in Lawrenceville because it’s "a food destination," Branduzzi said, and comfort food "fried chicken brings everyone together." Branduzzi moved to the United States when he was four, and he's owned Piccolo Forno and the Grapperia bar at the restaurant's rear for 13 years now. Li has 14 years in the 'Burgh's restaurant business. His first New Moon restaurant was on the North Side next to PNC Park. Additionally, chef Moyano is a 10-year veteran in Pittsburgh kitchens. With experience in the restaurant scene, the Pittsburgh transplants and business partners were curious to find "what else could Lawrenceville use," and "what would people gravitate towards," Branduzzi explained. "In our travels, we had eaten some really good fried chicken, Korean style fried chicken in Philly especially," Branduzzi said. Li remembers “growing up in restaurants” in his native Philadelphia, working for his family. “The only job I had was in the kitchen,” Li said. The Korean style fried chicken from their travel matches Moyano’s empanadas, a staple dish in Latin countries. “Every country has a different variety of empanadas,” Moyano said. She likes her empanadas with beef, although other choices like chicken and shiitake mushroom are on her menu. Love and I ate Ki Pollo on a Friday night just before close. Rhythmic Latin music like the song “Amor Silvestre” played through stereo system. The four-piece fried chicken with sweet but savory bao buns came quickly accompanied by the Pollo empanada with a side of rice and beans. Fresh pieces of chicken breast, drumstick, thigh, and a whole wing got washed down with our own Blue Moon booze. Enjoy the perks of BYOB at no additional cost. While the Lawrenceville restaurant attracts different types of people from varied city regions for meals, “more diversification would be the thing I hope to see in the next five to ten years in Pittsburgh,” Branduzzi said. Selections like “good Filipino food, good Cuban food, or good Mexican food” will boost the environment and make the food climate even more of a cultural mainstay. The melting pot creates various tastes like those at Ki Pollo, which Li wants people “to feel that they will crave,” he said.